LOS ANGELES – The Lord of the Rings is one of most successful trilogies in film history earning 17 Academy Awards® including three for its music. Beyond critical acclaim, the music from the films also enjoyed wide commercial success, collectively selling 7 million copies. Directed by Peter Jackson, The Lord of the Rings films are based on the popular J.R.R. Tolkien novel of the same name. Rhino is returning to Middle-earth on April 6 with the first soundtrack from the Trilogy, THE FELLOWSHIP OF THE RING: THE COMPLETE RECORDINGS, available on vinyl for the first time as a 5-LP boxed set. Housed in a collector’s box with red leather-style spine, the collection is limited to 5,000 individually numbered copies on red vinyl. The soundtrack will also be available as a 3-CD disc set plus 1 Blu-ray audio disc containing high-resolution 5.1 and Stereo mixes of the entire score, a reactivation of the 2005 box set featuring the entire score from the extended versions of the film. Both versions come with extensive liner notes from author Doug Adams who analyzes many of the themes and motifs used throughout the score. 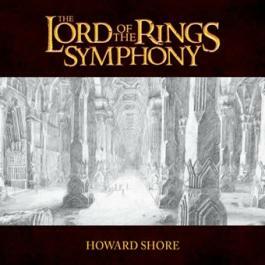 The music for all three films was composed, orchestrated and conducted by Howard Shore. The music he wrote for The Fellowship of the Ring was performed by the London Philharmonic Orchestra, with contributions by the New Zealand Symphony Orchestra, the London Voices and the London Oratory School Schola. The soundtrack also highlights two original songs written and performed by Enya: “May It Be” and “Aníron (Theme for Aragorn and Arwen).” The soundtrack was certified platinum in the U.S. alone, and sold extremely well around the world. It won the Academy Award® for Best Original Score, as well as the Grammy® for Best Score Soundtrack Album. The Complete Recordings is last year’s most important archival soundtrack release, expanding and preserving one of the finest and most significant recent scores in all of film music. 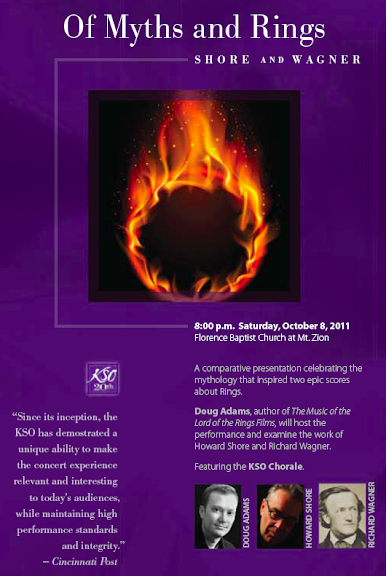 Shore’s Lord Of The Rings trilogy is an operatic symphony that is among the finest musical accomplishments of the last half-century. The plethora of unreleased material on this beautifully packaged edition is mouth-watering at the least, and the sonic dynamic achieved on the surround sound DVD of the entire 180-minute score is simply astonishing. There’s probably never been as ambitious a film score as Howard Shore’s 10-hour epic for the “Lord of the Rings” series… the music is rich and complex, drawing on a vast range of styles and exotic instruments to evoke J.R.R. Tolkien’s world of elves, hobbits and warlocks. But it’s more than just background music: Shore uses an elaborate leitmotif technique (where musical themes are associated with specific characters or ideas, and are developed across the entire series) to hold the sprawling tale together. Lush, beautiful and full of intriguing surprises, it’s no wonder that it’s become one of the most popular film scores ever written. The Lord of the Rings No. 1 Best Movie Score of the 21st Century.